Superchrome, one of the leading digital printing companies in the UK, offers affordable and reliable digital photo printing canvas services for you. 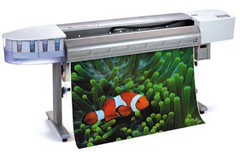 In digital photo printing, the printing is done directly from a computer file on to a canvas. With Superchrome’s latest digital printing technology, we can create unique and impressive canvas photo prints for you. We can provide elegant digital photo canvas prints to adorn your home or office. You can gift special photo prints to your loved ones. When placing an order, specify the print size and printing finish. Avail of digital photo canvas prints in any size you want. Your desired photos can be directly uploaded to our website. You can order digital photo printing on canvas with finishing options including glossy finish, matte finish, borderless and white borders. With digital photo printing on canvas service, we can transform your treasured memories into unique canvas art prints. At Superchrome, we can print your digital photos on high quality artist’s grade 340gsm canvas. We also offer digital photo prints on various canvases including lightweight poly canvas, natural artist canvas and heavyweight canvas. If you want to see your favorite photographs enlarged to poster size, you can choose our large format digital printing service. With high definition digital printing technology, we can create continuous tones and smooth color transitions on canvas. At Superchrome, we deliver high quality canvas prints at low print cost. We also offer price reductions for large volume digital photo printing orders. We can deliver efficient digital photo prints on canvas services within fast turnaround time. We have clients from all business sectors including charities, museums, galleries, designers, architects, trade show organizers and individual artists. Our finest digital photo printing on canvas services are affordable to all types of customers. If you would like to know more about digital photo printing on canvas, any of the projects shown or if you want to discuss any project you have coming up then contact us 020 7237 9333 or fax 020 7237 9444 or email sales@superchrome.co.uk. Our experienced personnel would be able to guide you appropriately.